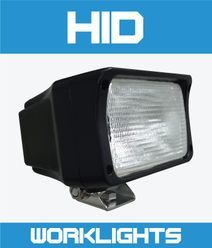 The IB-50/100 work light is a step up from the WD-F18. 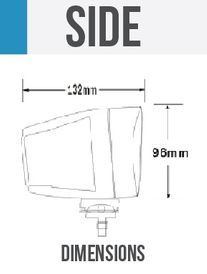 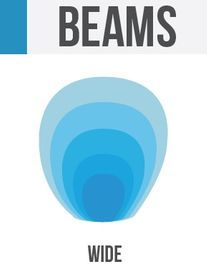 Larger is size and fitted with a 55 watt H11 Xenon globe, this light is often used as a front /driving type light on mining and farm machinery, throwing a wide rectangular beam. Features include a 10 mm bolt for securing a 4 point, rubber anti vibration mount, 50 G shock rating and a full die-cast aluminum housing.